Raising your little fellow is an interesting activity to do especially when it is your first baby. Parents want to keep their babies engaged by having different sorts of toys and rattles around them. When your baby starts crawling, a little more care is required because the baby crawls on the floor and try to grab every other thing found in his way. This time you need to have some toys for him to play. Here is the list of some toys for babies of 6 months or above. This car set is most suitable for toddlers who have just started crawling. 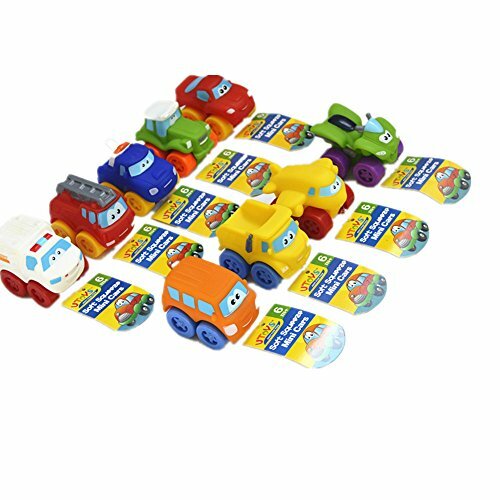 The set includes 9 different types of cars which your baby will love to roll on the floor. 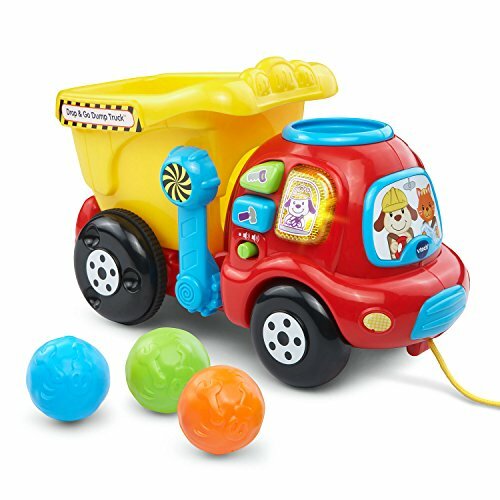 This car set is helpful in building sensory and motor skills in your developing little fellow. Soft plastic, BPA free, and lightweight material is an excellent choice to have. 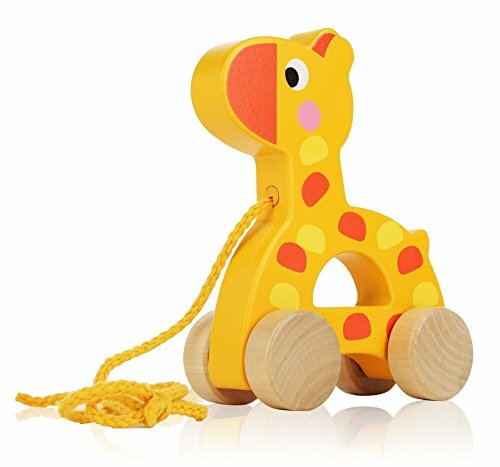 This little giraffe is a good friend of your lovely baby and stays with him every time. Made of smooth and splinter-free wood makes it totally safe for babies. Bright non-toxic paint is very much attractive for toddlers. Easy to play and helps in the development and growth of your little fellow. Quite an interactive tool for little fellows to help them in walking. 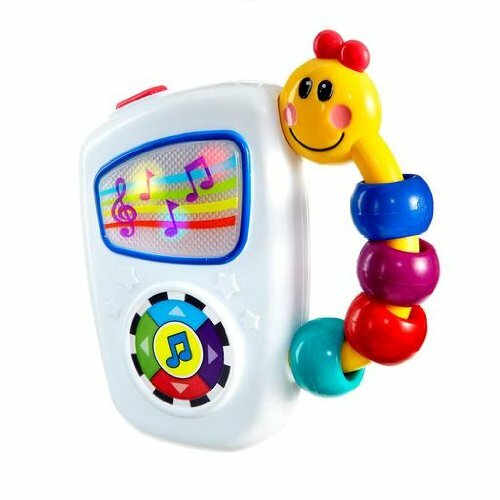 Different interesting features are also available on its front panel like 5 different piano keys to play music, 2 colorful spinning rollers, 3 shape identifiers and some glowing light buttons are a good option to engage your child. 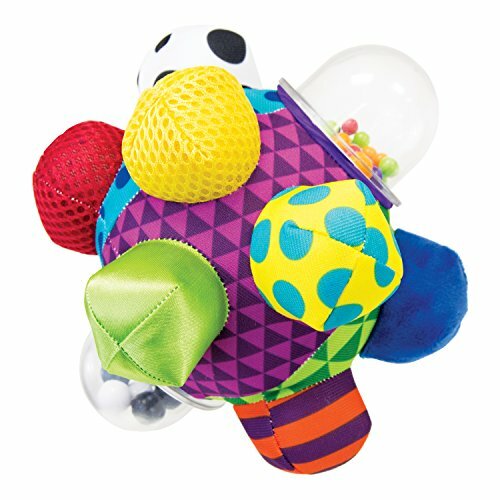 This interesting bumpy ball contains many different forms of textures and materials which are quite supportive in developing your child’s vision, tactile sensitivity as well as mental growth. Big sized bumps available on the surface makes it totally easy to grasp and lift. This activity cube is a very good option to develop your child’s interest in learning. 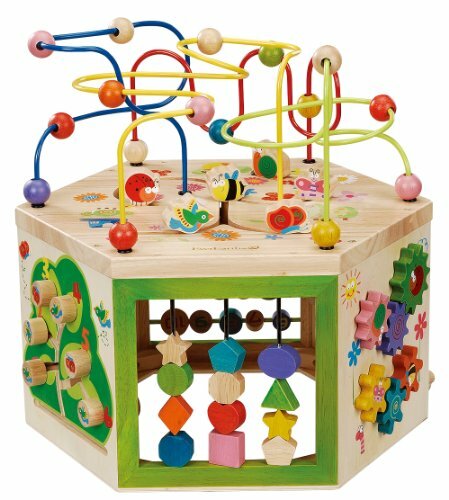 Consisting of 6 sides with a different concept and playful learning activities this cube involves geometrical shape sorting, counting beads, colorful animals to move and an interactive maze on top as well. 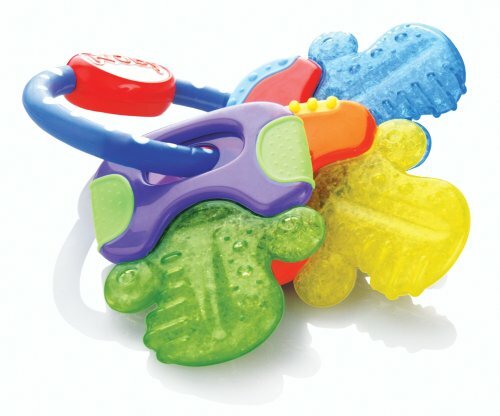 This cute little teether is good for gumming babies. 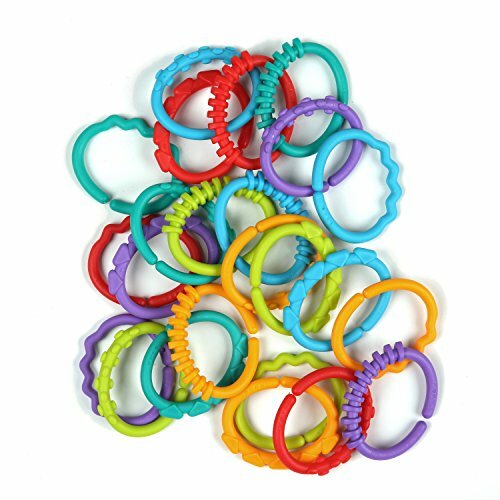 The material used for this teether help in mild cooling of your baby’s gum when places in the refrigerator for some time. The colorful and cute design makes it easy to grab and lift. The material is totally free from harmful BPA. 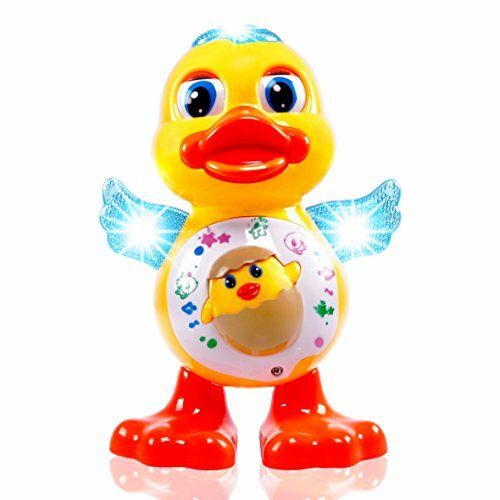 Musical & Dancing Light Up Duck Toy For Kids By CifToys. Dancing Toy. Moving Music Yellow Duckling. This interactive duck is a must go, if you want to engage your baby for hours and do your daily chores. This super energetic and colorful duck sings and dances for your baby. Bright colored LEDs are quite engaging for your little fellow. This toy is an excellent birthday gift to bring a smile to your baby’s face. 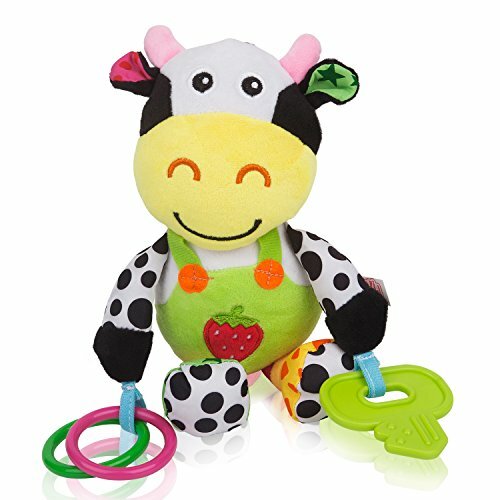 This little toy rattle is a perfect gift for new parents and the little fellow as well. Made of different colorful rings this cow is easy to grab and is attention-grabbing equally. Interactive music is also available with this cow, just press his tummy and there you go. Many different songs are added to it. 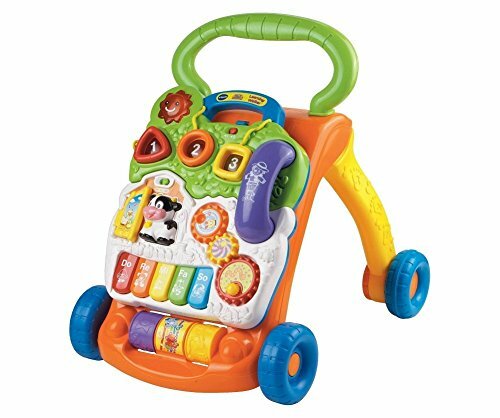 This drop and go truck helps in developing your child’s sensory and motor skills as well as it is an excellent toy for babies of 6 months and above. This colorful truck also sings songs for your little fellow, for this 3 different buttons are provided. This little fellow is your baby’s bathroom friend. The package comes with a colorful and cute octopus with 3 different beautiful rings around its small tentacles. 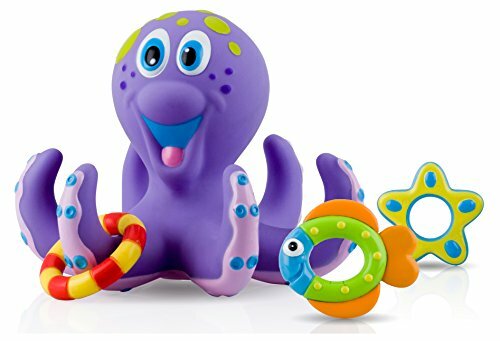 These small tentacles help your baby’s hand and body coordination. Totally engaging colors help in developing your baby’s vision. A combination of different rings, carriers and more, this complete package is totally for your baby’s cot. Just join them in the form of a chain and hang it around your baby. Quite colorful and attention-grabbing stuff with totally engage your little ones. This accessory set is specially designed for newborn babies. This baby toy is designed to improve your child’s hearing senses and auditory response. Different colorful and engaging buttons are added which allow listening music of your interest. 7different types of sweet and melodious are provided for your baby to enjoy and smile. Sarah lives in Maine with her husband and three kids. She is a Staff Writer at Baby Gift Ideas, shoe addict and pays her kids to rub her feet.